“From the minute they enter our office children are treated specially.” A “kids only” toy area, too small for adults, intrigues and entertains our littlest patients starting at 3 years old. 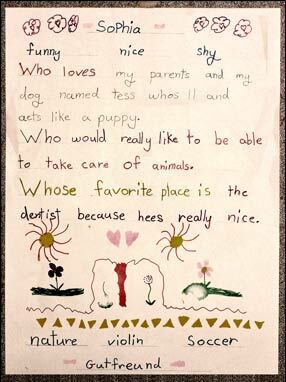 Dona and Joann, our warm and caring hygienists, are great with kids. They should be, each has four of their own! They make the experience fun and interesting for kids of all ages. Dentistry in Dr. Magid’s office is different than the typical dental experience. Areas of decay are diagnosed very early with a tiny laser or a focused beam of light. If treatment is necessary it is accomplished with “minimally invasive” techniques using a laser or microabrasion. Examinations for children include an analysis of the child’s facial growth, with special attention to speech and tongue movement to determine if the child has ankyloglossia or “tongue tied” function. Dr. Magid actually treats newborn babies with “failure to latch” due to this problem as well as children whose speech and development can be adversely affected using a laser in a painless, completely safe procedure. If you would like your children to grow up wanting to go to the dentist, with no fear or negative associations, then the office of Dr. Magid is the place to go.